I have been a fan of the Picross series since Picross DS and have grown to love this series despite some of the puzzles being frustrating. That said : if all the puzzles were easy then there would be no challenge. Jupiter Software’s latest entry Picross E3 has just arrived on eShop and brings with it 150 new standard puzzles, plus a new set of puzzles called Mega Picross which I will get into later. For those new to Picross a tutorial mode is available to get you into how Picross works, which is great since digital games don’t have instruction manuals like physical games. Easy and Normal modes tell you when you make an error, penalising your time but at least giving you an answer as opposed to Free and Extra modes which are more open-ended (leading the player to try and use several methods to solve the puzzles which can take a long time). 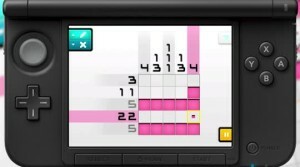 The new Mega Picross has digits which span 2 rows or columns. So, for example, if you choose 8 then these two columns or rows will be populated with 8 blocks. This encourages the player to think differently. It’s a decent addition, but not as good as the Miicross feature in E2 that included a lot of mini puzzles in one big puzzle. If Jupiter Software had brought Miicross to E3 it would have felt more like a proper sequel. 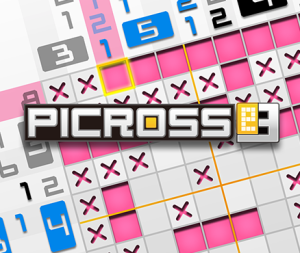 The visual presentation of Picross E3 is pretty much same as in Picross E and E2, although the background in E3 is pink, as opposed to blue in E and green in E2. The background music is the same as E2 hence making it look like a lazy clone. 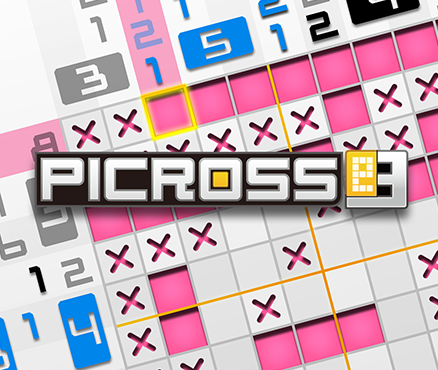 Picross E3, while good, feels like an expansion of E and E2 as opposed to being a true sequel. 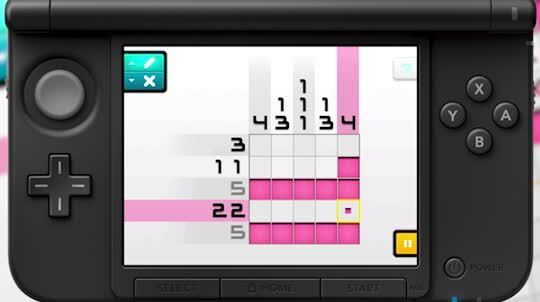 Although some may argue “if it ain’t broke don’t fix it”, I say that doesn’t mean they can’t tweak it up a bit like have having different music , different background/puzzle colours or animated pictures when you completed a puzzle like in Picross DS. So for those expecting a huge change from the prequels will be disappointed, but nevertheless it is still worth the £4.50 pricetag. Feels like DLC rather than a new game.